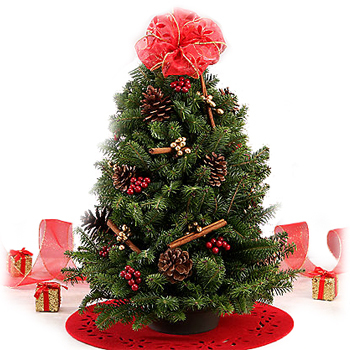 For hundreds of millions of people around the world, Christmas is one of the most important holidays of the year. While those in the US and Western Europe celebrate the birth of Christ on December 25th, over a hundred million Orthodox Christians celebrate Christmas on January 7th. Today, let’s take a closer look at unique Orthodox Christmas traditions around the world. 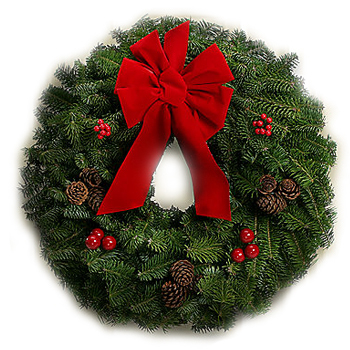 Many countries – including Russia, Ukraine, Belarus, Egypt, Ethiopia, Macedonia, Serbia, Montenegro, Georgia, Moldova and Kazakhstan – observe Christmas according to the Julian calendar which is 13 days behind the Gregorian. Even though all these countries are Orthodox and share a common thread in their Christmas celebrations, there are also many varied traditions from country to country. When it comes to Christmas dinner in US, it can feel like there’s not much variation. We know the traditional dishes, roast chicken or turkey, stuffing and mashed potatoes are usually followed by a slice of pie (or two) and maybe another dessert, to be polite of course! While this food is delicious, it can be easy to find yourself in a holiday rut. Tradition is great! But let’s spice things up a bit. Around the world, people tuck into all sorts of wonderful and delicious festive fare. Given the upcoming celebration, we’d like to share our 3 favorite holiday recipes from different parts of the world and give you an idea how you can add an exotic flare to your Christmas dinner. 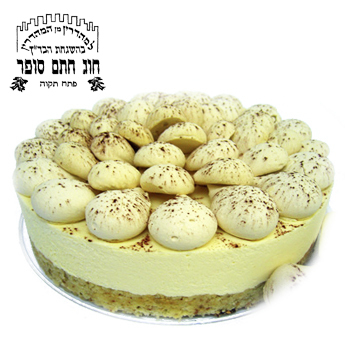 Let’s start with a recipe inspired by traditional Jewish cuisine. As you might know, instead of Christmas, Jewish people celebrate Hanukkah, the Festival of Light, and there’re plenty of amazing Hanukkah recipes worth borrowing and incorporating in your holiday menu. 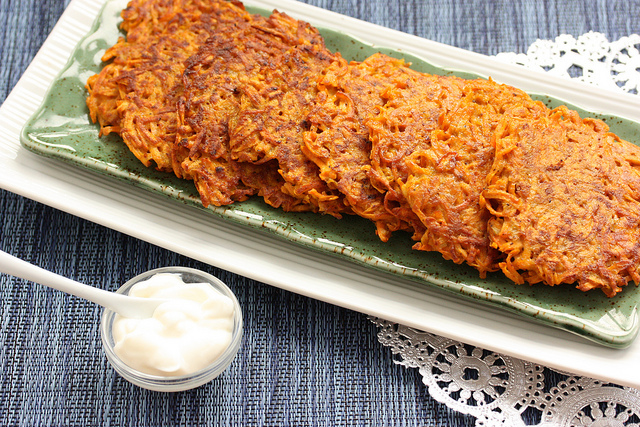 Potato Latkes are the easiest to make, but they aren’t at all lacking in flavor. Made just in a few simple steps, they will make a great appetizer for you and your family. Dice the onion and sauté with a little salt until golden brown. Grate the potatoes and leave them in cold water. Put the eggs, flour, fried onion and 2 tsp. salt in a bowl. Drain the grated potato, add it to the rest of the ingredients and thoroughly mix everything together. Heat 2-4 tbsp. of oil in a frying pan, over medium heat. Scoop the batter with a table spoon (about two spoonful) and gently drop it into the oil. Press down gently with the back of the spoon to flatten. Fry 2-3 minutes until golden, then flip and fry additional 1-2 minutes on the other side. Repeat Step 4 until you run out of the mixture (makes about 16 latkes). Make sure to add more oil to the pan every couple of batches. Enjoy as is, or with a little sour cream or applesauce to taste. The next recipe comes from Milan but is enjoyed for Christmas and New Year all over Western Europe as well as South America. 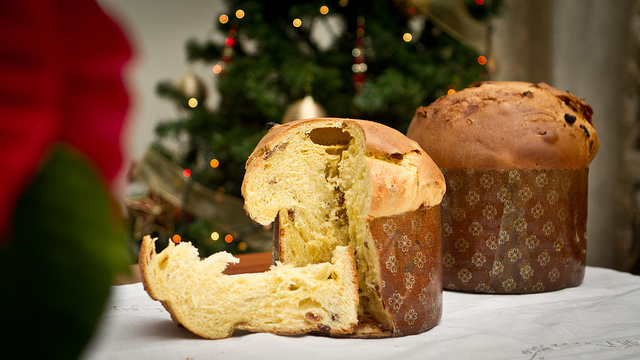 Italian Christmas bread, Panettone, is deliciously sweet and will become a great alternative to the traditional Pumpkin or Apple pie on your holiday table. To make the starter: combine the starter ingredients in a bowl, cover, and allow to sit overnight at a room temperature. To make the dough: Combine all the dough ingredients except the fruit. Mix and knead them together until the dough is elastic and smooth. Cover the dough and allow to rise for 60-90 min, or until puffy. Gently “punch” the dough down with your fist and knead in the fruits and zest. Shape the dough into a ball and place in a tall straight-sided 2-quart pan. Cover the pan and let the dough rise for about 1 hour (until it’s just crested over the rim of the pan). Preheat the oven to 400°F and bake for 10 minutes. Reduce the heat to 375°F and bake an additional 10 minutes. Then reduce the heat again to 350°F and bake for 25 more minutes. Cool down completely before serving. Serve immediately or keep wrapped at a room temperature for up to a week. 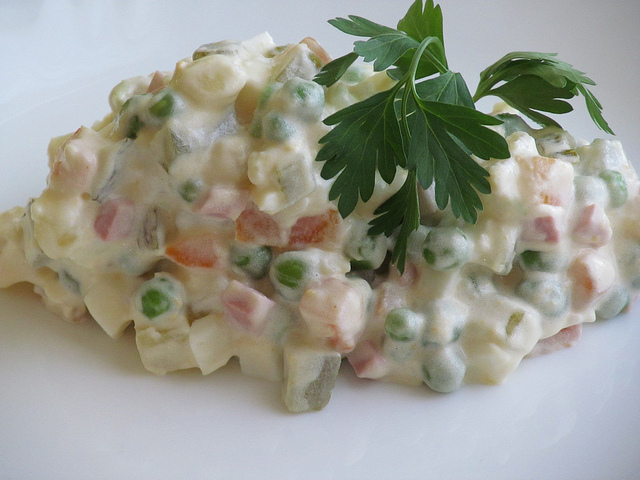 And the last but not least is a very popular and surprisingly easy to make Russian salad Olivier. Even though the name might tell you otherwise, this recipe is traditionally Russian and is made for the winter holidays by every housewife. Boil potatoes, carrots, and eggs until cooked (20-30 min). Peel and cut all the vegetables and eggs in small cubes. Chop your choice of meat and pickles. Mix everything together. Add peas. Dress with mayonnaise or sour cream until evenly coated. Now, You’re Almost Ready for Christmas Dinner – What’s Next? Schedule your gift now, so you don’t forget. Browse Christmas gifts to USA, Australia & 200 countries, and make sure your gift is delivered on time! Plan your New Year’s with Unusual Airbnb Spots for New Year’s Eve. You’ve read this far, we’re sure you have a friend who’d like to see this too. Click those share buttons below. 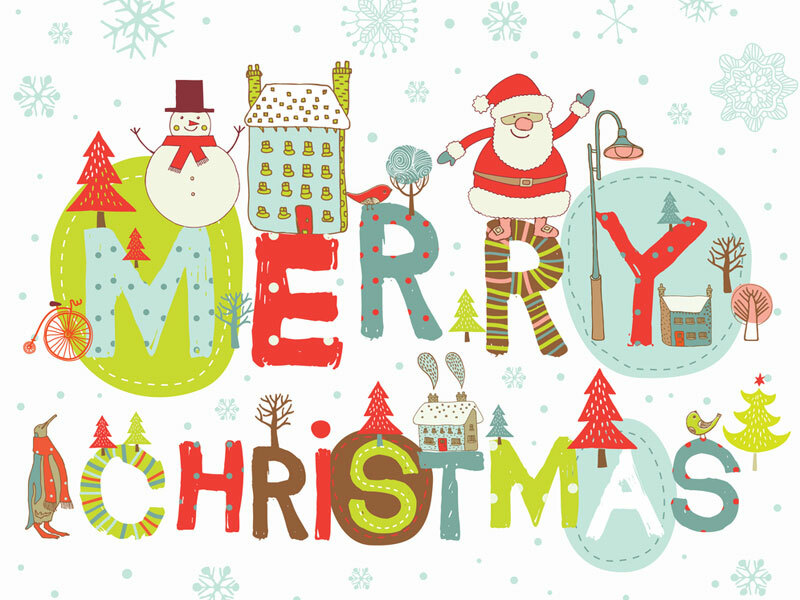 GiftBasketsOverseas.com Wishing You Merry Christmas! During the rush of the holidays, take time to slow down and enjoy the things in life that really matter. Take in the serene moments spent with friends and loved ones, and may the wonder of Christmas surround you throughout the holiday season. 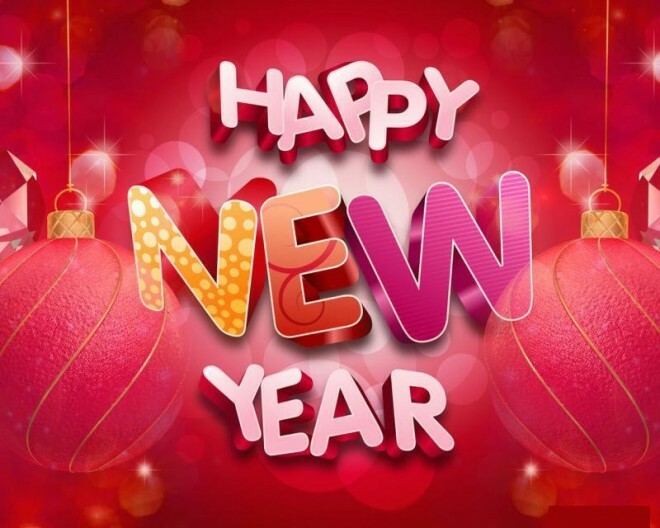 GiftBasketsOverseas.com is wishing you much happiness today and throughout the New Year! and celebrating it your way! 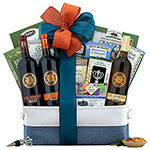 Shop New Year Gifts & Save! The countdown to the New Year has begun! Time to make sure your liquor cabinet is stocked, and your friends are bursting with excitement. This year, make your invitations interactive. 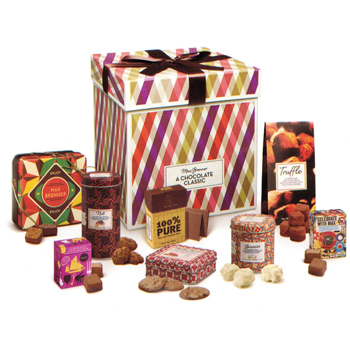 Send a sweet treat to your friends and family with a note telling them where the party is. It’s the perfect way to make sure that even if they can’t make it, they’re starting their year off with a bit of your love. Order now and make sure your gift makes it before 2016. 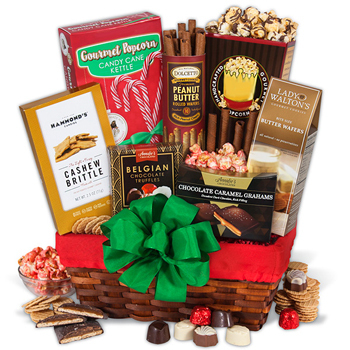 Use code GBNEW16 and save $8 on your gifts until December 21, 2015. Christmas is right around the corner, which means you are probably running around trying to find that perfect gift for your family members, friends and business associates. 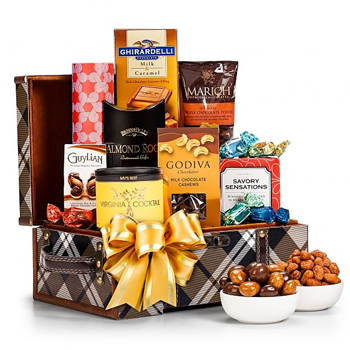 For all of recorded history people have been giving gifts for a various reasons: to show affection, fulfill a family duty or promote the business. There are only few holidays a year that are suitable for both personal and business gift giving and Christmas is definitely one of them. But often figuring out how to translate your love and respect for someone else into that perfect surprise can be stressful. 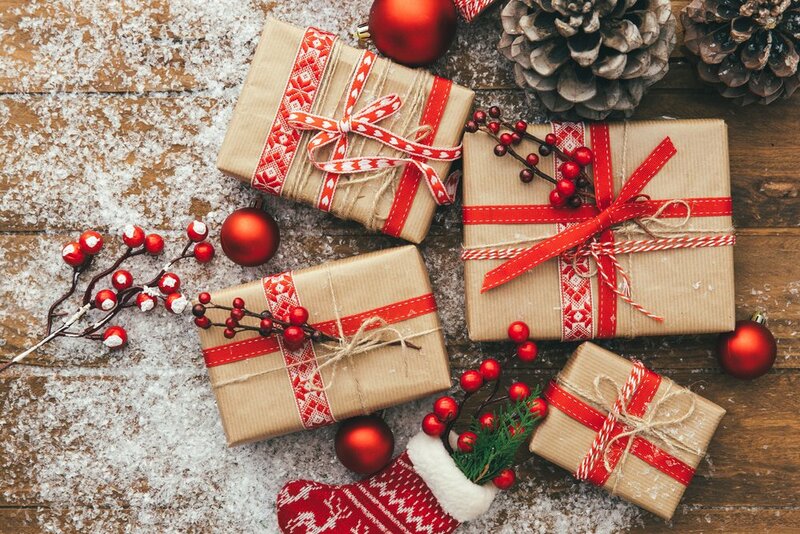 Here are some tips for making Christmas gift-giving a joy for both the giver and the recipient. Throughout Christmas season, people come together as family, whether by blood or friendship. Our thoughts turn to making each day special with the most important people in our lives, and we greatly enjoy festive meals and celebrations we look forward to all year long. As with any significant occasion, glasses are raised and toasts are made to the fortunes of our dear family members, friends and colleagues. These good tidings and well wishes can’t be considered complete without raising a crystal glass of great red or white wine. 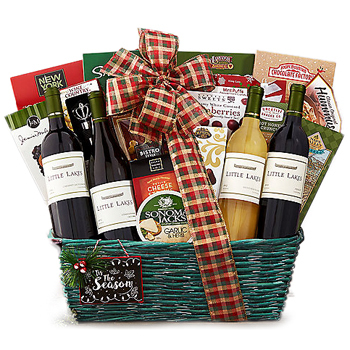 A holiday collection of our wine gift baskets suitable for any budget includes only bottles from the world’s best wineries and some great complimenting treats you can customize to fit a particular person or group of people. 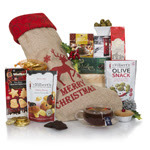 From savory cheese selection and gourmet snacks to sophisticated chocolate there’s everything that will help you spread Christmas cheer to your family, friends, and business associates. There’s nothing that screams Christmas like a festive table bursting with delicious dishes. Help your family members or co-workers create a perfect holiday meal to share with dear ones by sending a thoughtful and delicious surprise they are sure to appreciate. 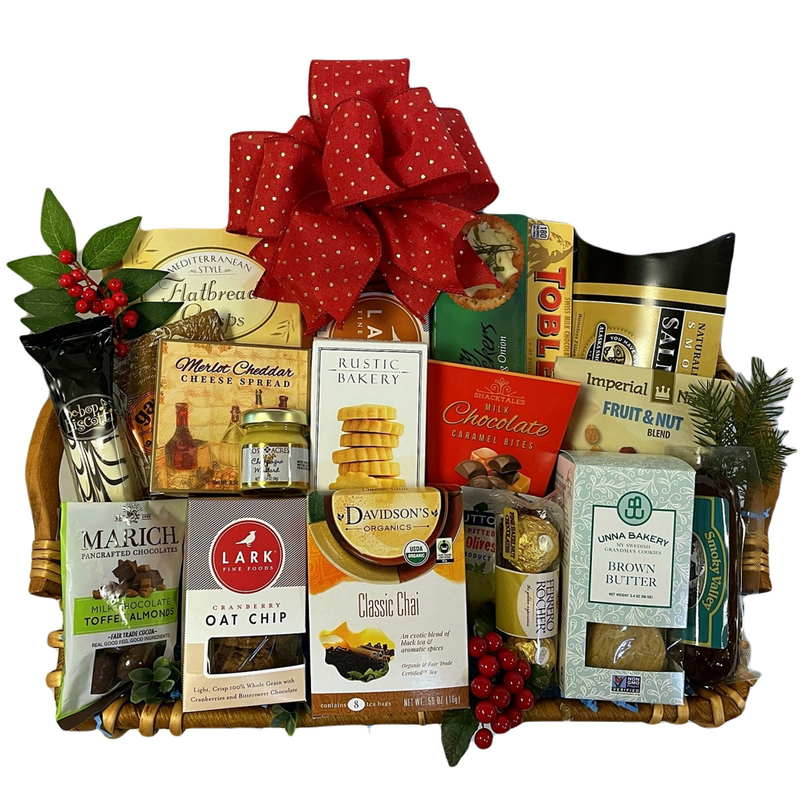 A selection of great cheeses, smoked salmon, salami, dried nuts, fresh exotic fruit, exquisite cookie assortment, best chocolates and other gourmet and finger foods from all over the world are complimented with best tea, coffee or wine. 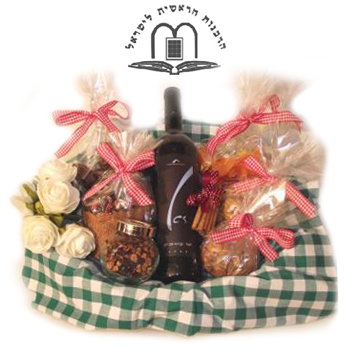 All gourmet gifts are made only with premium ingredients and are presented to the recipient in all its glory, in elegant gift baskets, boxes and gift towers finished with hand-tied bow for an extra special touch. Christmas sweets are the highlight of any celebration and it’s hard to disagree. They easily transform the holiday table into a winter wonderland. Our fabulously festive dessert selection includes everything your recipients can only think of from traditional gingerbread, pies, chocolate fudge or almond-butter toffee cookie, candies and chocolate, to Christmas inspired cakes and cupcakes. 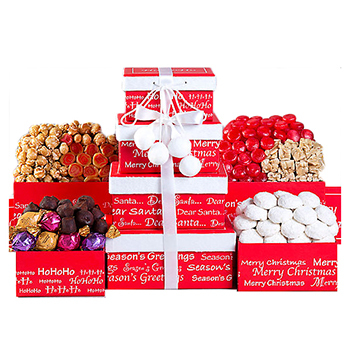 Make gift-giving extra sweet this year, surprise your loved ones, kids, friends, corporate clients and pretty much anyone on your list with special Christmas sweet gifts that are meant to bring holiday cheer to any home or office. One of the best gifts you can give the hard-working and ever-so-deserving people in your life is the gift of relaxation. 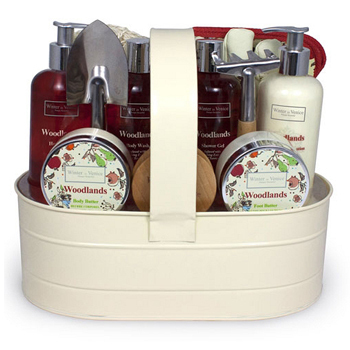 Help those on your Christmas gift list needing a touch of stress relief by stocking them up on the best bath products that will make any bathroom feel totally spa-like. We’ve rounded up the best spa gifts to give, from scented candles and plush towels to cozy robes and the perfect accessories designed to calm body, mind, and spirit. Scented candles included in our spa baskets not only set the mood and create ambiance, but also add warmth and comfort with its golden glow. Handmade fragrant soaps offer a luxurious and personal touch, especially when wrapped in pretty papers, bows and topped off with a wax stamp. Nothing says luxe spa quite like super plush, thick towels. Amazing bath towels can make every day feel special, whether you’re treating yourself to an at-home spa treatment or sticking to your regular routine. Christmas is the most flowerful time of the year. Flowers can be used in wonderful ways as decoration. 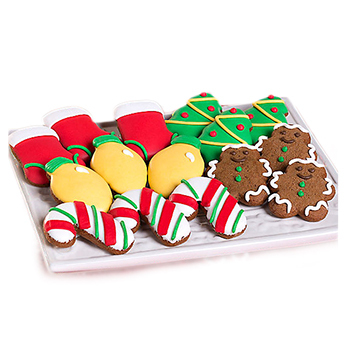 They can be a part of any special occasion and during Christmas season they play a significant role in spreading holiday cheer. 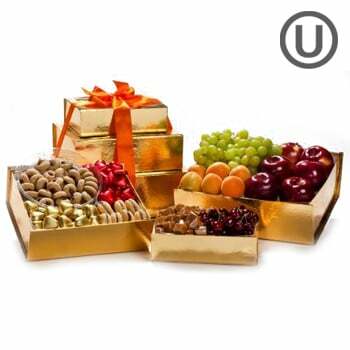 They bring out the essence of the festivities, add color and freshness wherever they are displayed. 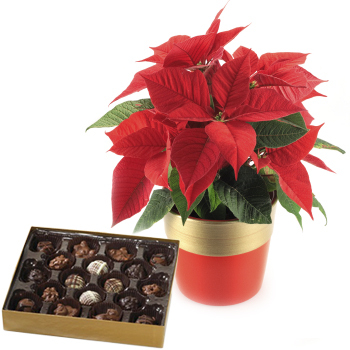 From timeless roses and orchids to traditional decorated mini Christmas trees, poinsettia, amaryllis, holly and mistletoe, Christmas wreaths and everything else in between, we have you covered with premium Christmas flowers and plants to fulfill all your gifting needs. 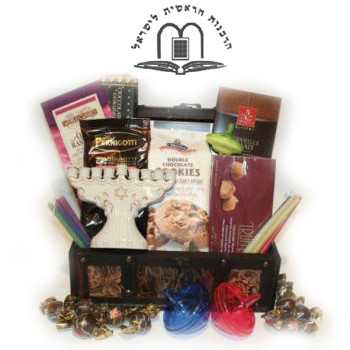 The bright eight day Jewish festival of Light, Hanukkah, is almost here. Starting this year on Dec, 6 it commemorate the triumph of light over darkness and spirit over material. Each night of the long festival Jewish people light a candle on a special nine-branched menorah candelabrum and sing holiday songs or play games while watching them burn. Other Hanukkah traditions include spending time with dear ones and sharing Hanukkah gifts with family, friends, and business associates. Because of the great significance of oil in the history of the holiday it is customary to eat oily foods. Special potato pancakes, jelly doughnuts and many other dishes fried in oil are particularly enjoyed during Hanukkah. An excellent pairing for classic holiday dishes is wine. 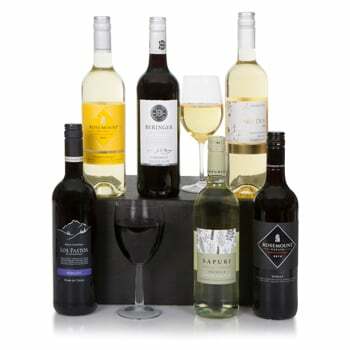 From light soft burgundy wines full of creamy fruit flavors with fresh acidity and dry white wines with delicate sourness that balances the taste and a pleasant finish, to full bodied Cabernet Sauvignon there’re plenty of choices to choose from. 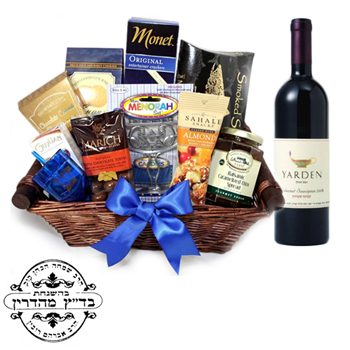 There are few gifts given for any holiday in the Jewish calendar that you can’t go wrong with and kosher baskets are one of them. They are not only healthy and nutritious but also delicious and full of vitamins. 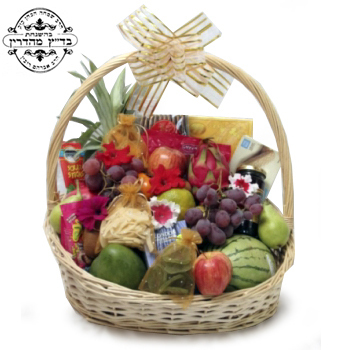 Usually presented in a wooden box or stylish keepsake hamper they are filled to the brim with both fresh and dried fruit, crunchy roasted nuts, gourmet cheeses, vegetable spread, homemade bread and cookies, honey, jam, assortment of organic teas and so much more. 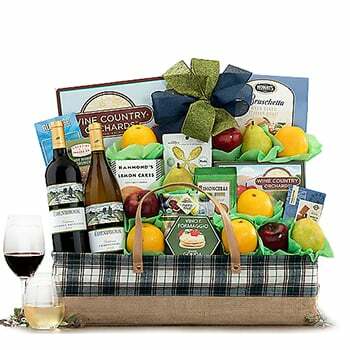 If there are foodies on your list don’t hesitate to send a flavorful gift that will have something for everyone to enjoy either at a home gathering with family or at an office party with business associates. 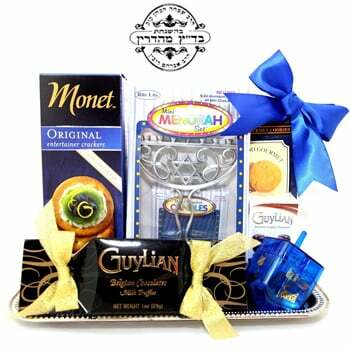 If you’re looking for a Hanukkah gift for little recipients or those with a sweet tooth go for something extra sweet and delicious. 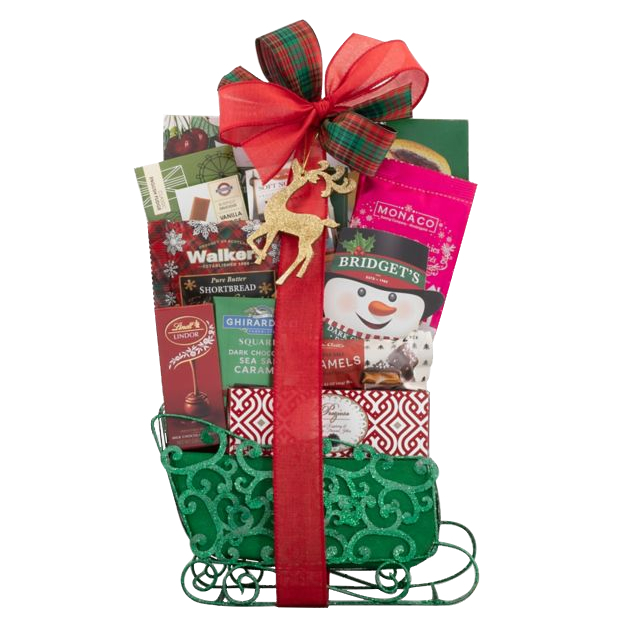 Beautifully presented in a keepsake basket, festive paper box or bright gift tower your surprise will include the whole assortment of all time favorites. Dark and milk сhocolates of different flavors, fresh сookies, candies, as well as more healthy choices like halva (a Middle Eastern confection made of sesame flour and honey), dried fruit, honey and more delicious treats to any taste. 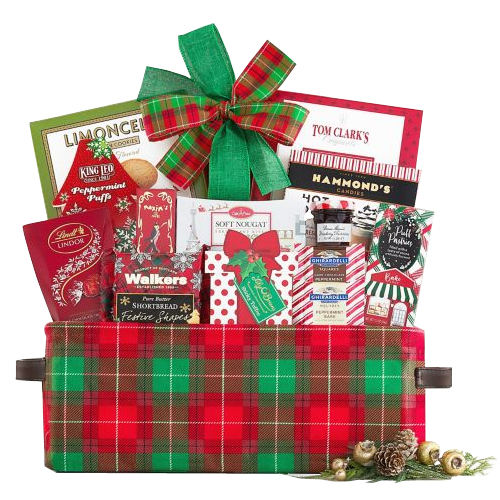 Everybody loves to be generous during the holidays, but businesses can tangibly benefit from sending great gifts for employees during winter festivities. Here are the three best reasons to be generous this season – other than just being nice! 1. Reduce Turnover – Employees who feel appreciated stay at the job longer. Engaged employees are 87% less likely to look for other jobs, and well-timed gifts can reduce employee loss by 24%. 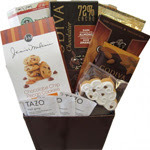 Send personalized gifts to add a warm touch to the office that keeps employees happy. 2. Make it to the Finish Line – Holiday distractions make it difficult to meet Q4 goals, but motivating employees with an appreciation gift gives them the morale boost needed to finish tasks at year’s end. Companies who do this regularly report success rates of nearly 80% in meeting their goals. 3. Increase Profit – Happy employees equal happy customers. 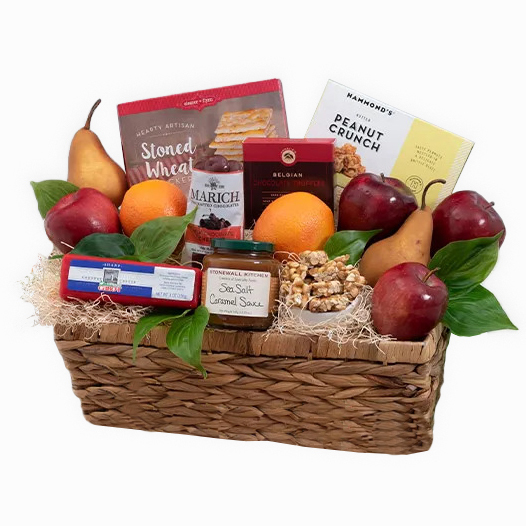 Giving your employees impressive gifts will lift their spirits, helping them provide top-notch customer service, even during stressful times. This will motivate them to close sales and upsell customers, making your profit margin wider. Download our Bulk Order Form, fill it out, return it to [email protected]com. A corporate specialist will process your order as quickly as possible, and you’ll already have the holidays – and your hard-working employees – taken care of for the year! 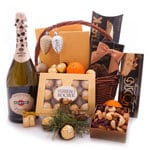 Many companies wonder if it’s appropriate to send gifts to their clients and customers; others wonder if it’s a waste of time. The fact is, sending gifts is not only appropriate, it’s important. Here’s 5 ways being generous with your customers positively impacts your bottom line. Branding, Branding, Branding– At a 2003 trade show, nearly 63% of those in attendance reported receiving a promotional gift, and a whopping 72% of them remembered who had given it to them. Pro Tip: Print your logo on the gift card, and send a tasteful gift that your customer will enjoy, rather than the corporate logo-emblazoned anti-gift. Create Connections and Impact – With internet businesses blooming, many customers complain about the lack of human connection. 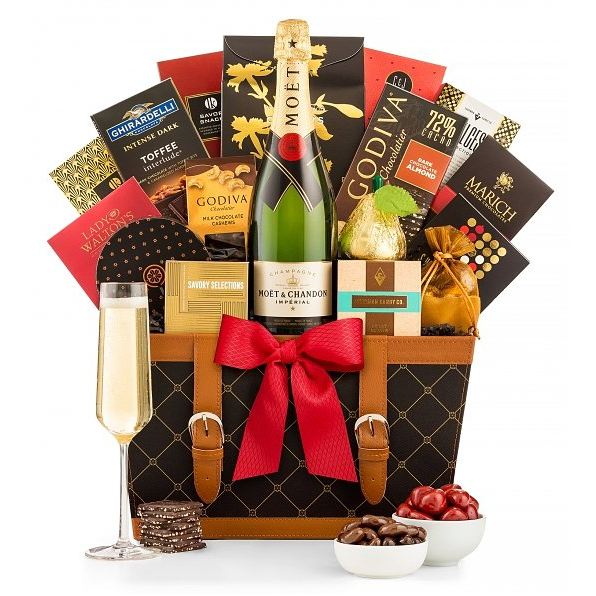 Additionally, fewer companies are sending truly thoughtful gifts to VIP customers, if they’re sending gifts at all. When your company is the one that sends an impressive, thoughtful gift, customers will feel that you’ve gone above and beyond, will associate your name with positive feelings, and will remember you even longer. Increase Return Customers – Customers who remember you, remember you when they are ready to buy again. 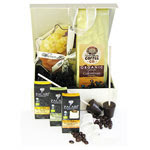 Studies show that customers who have received gifts not only reorder faster, they also order more often. Happy Customers Spend More – Feelings of familiarity and positive memories make customers more willing to open their wallets, and even increase their spending budget when they’re shopping. A customer may set a target price point, but while shopping with a familiar company, it is common for a comfortable and engaged customer to increase their spending limit by as much as 10%. 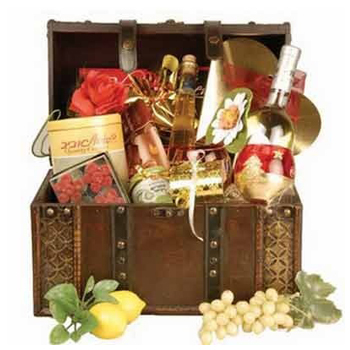 Gifts Save Money – Research shows that the cost per impression of promotional gifts is less than half a cent. Comparatively, traditional methods of advertising cost almost two cents per impression. This might sound like small potatoes, but when you’re working with thousands, or even millions, of impressions – the difference adds up. 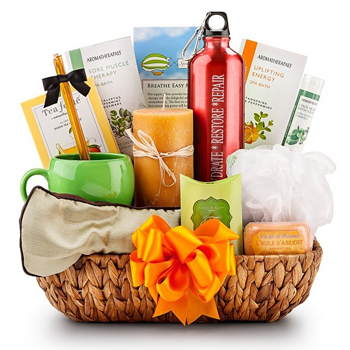 Ultimately, sending business gifts to customers is a short term, and relatively minor, expense with excellent long term returns! Plus, our BONUS is still in effect: Send your bulk orders of five (5) or more gifts returned to [email protected] by November 25, 2015, 5 PM EST and mention the code NOVHOL12 to SAVE 12% on the price of your gifts. 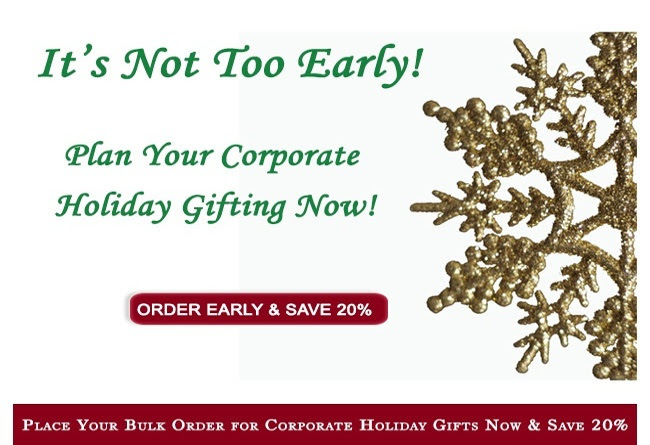 Save on Early Corporate Holiday Gifts! We know you think it’s too early to be thinking about the holidays – Halloween hasn’t even passed! But our years of experience tell us that now really is the right time to start your corporate holiday gift plans. You’re going to have to verify addresses, talk to different departments about who’s on the gifting list this year, figure out what gifts to send. It’s a lot of work, and it creeps up quickly for many businesses. Let us take the work, the hassle, and the rush out of being generous to your employees and VIPs this year. We’ll help you send the best wines, gourmet foods, and holiday gifts anywhere in the world, and you’ll look like a Christmas wizard. Plus, if you place your bulk order (3 or more gifts) by October 30th, you’ll SAVE 20% on your gift total. 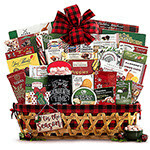 Just click on the here to download your bulk order form, choose your gifts, fill in your recipient information, and email it back to [email protected]com. Write the code EARLY15 on your bulk form to claim your savings. *Please notice that this offer cannot be combined with any other coupon or offer; offer only valid on bulk orders of three (3) or more gifts, when customers use the bulk order form.